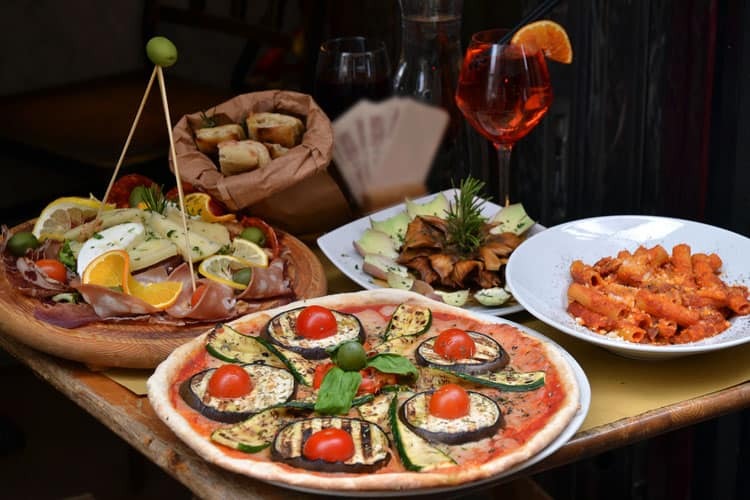 There is no doubt that Italian people know how to enjoy life and proof of that is the great way they love to socialize through food and drink. Two friends of mine have been touring Italy this summer, while discovering the famous “dolce vita”. Some of their stops have been Bologna, Venice, Verona, Florence and Milan. Milan is an important business center, famous for being one of the world’s most important fashion capitals, along with Paris, New York City, London and Tokyo. But this didn’t impress me much as I thought it to be a grey place, which didn’t contain the “real” Italian way of life you can find in other cities. I know, I totally prejudged it. 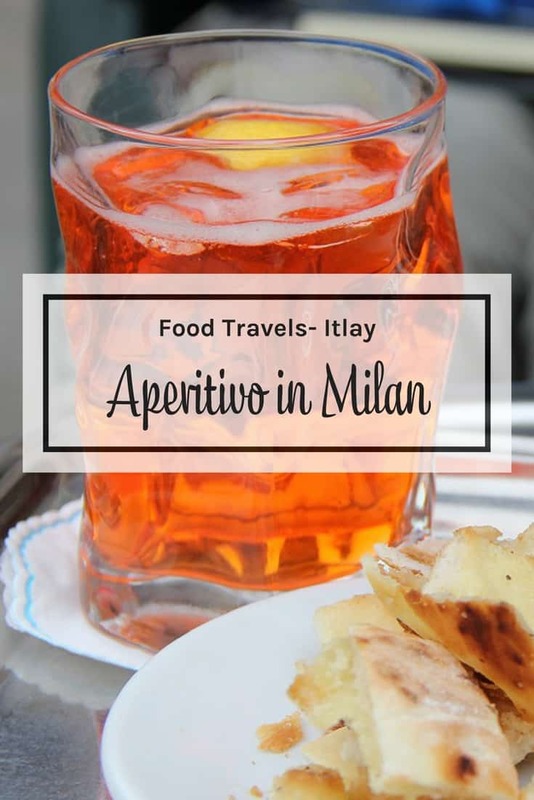 So I was really surprised when my friends told me they really loved the city, most of all they really enjoyed one of Milan’s most famous traditions: the aperitivo. Truth be told they do this almost everywhere in Italy, but today we are talking Milan. 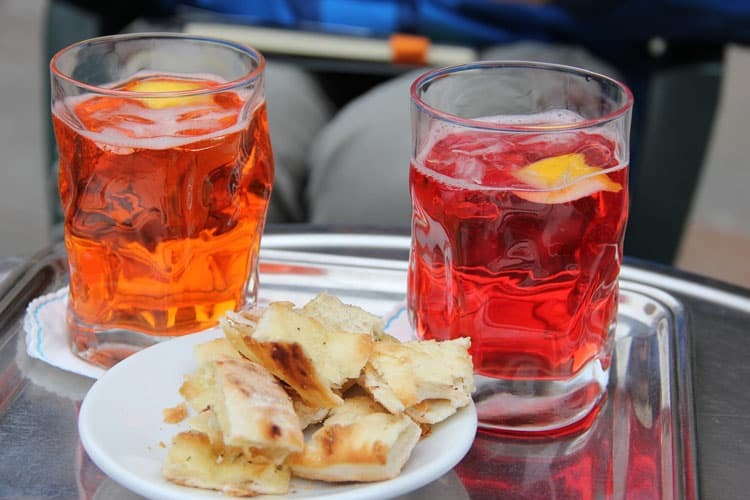 Traditionally, an aperitivo was a pre-meal drink, commonly Campari and orange juice or Cinzano on ice, served to whet the appetite. But in recent years the aperitivo has been elevated to a totally new level in Milan, creating a free open buffet included in the price of your drink. These buffets, which started with just some snacks, have evolved including now a wide variety of foods, such as pasta, risotto, meats or cheeses. Italians usually have dinner at about 9pm, so between 6pm and 9pm many bars in Milan open their doors to offer their famous “aperitivo italiano” to a crowd of costumers. Each bar has its own menu and specialties, which gets more competitive every day. The prices for the drinks during the aperitivo have a supplement, added to compensate for the refreshments offered, and usually go for 6 to 10€, depending on the bar, its location, or the buffet offered. The prices are usually the same for all the drinks; it doesn’t matter if it’s a bottle of water or a glass of wine. The aperitivo is a great tradition for Milanese people, especially as an after-work event, because it gives them the chance to socialize, relax and nibble as dinner approaches. But the aperitivo is also a budget option when travelling to Milan, as some buffets can really be a good meal replacement. And this is a great deal, especially when talking about expensive cities as Milan, where an average dinner can cost you about 25€. But the aperitivo italiano has become so popular that now you can find it all over Italy, but also all over the world. In fact, I’ve seen many Italian bars in Barcelona offering the aperitivo italiano. I hope I’ll be doing this very soon too, especially now that I’ve discovered this delicious tradition! How about you? Have you ever had an apetivo? I have had apéro in Switzerland, France, and Italy, I am looking forward to checking more! I could easily turn this into a new dinner time tradition. I could stand a little more dolce vita in my world. @FL, that’s right who needs Italy to have a little fun! @Taylor, WOW 9PM I am heading to bed! So you dine “a la Mediterranean or Spanish” when I used to do business in Barcelona they would make a special request sometimes to have the restaurant we went to open at 9 it was hilarious that my business partner would do that! The Italians truly know how to enjoy life and how to appreciate food. I loved my trips to Italy, where you didn’t feel a single ounce of guilt when indulging in a two-hour lunch, complete with wine.